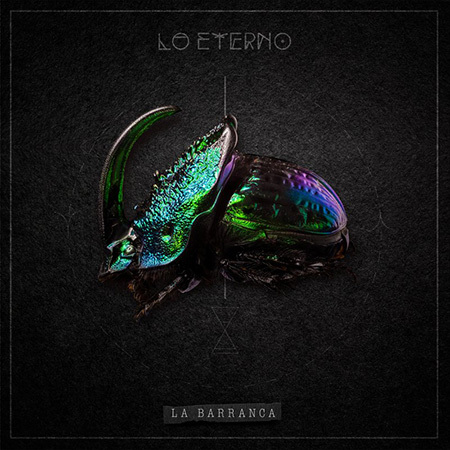 When I was making my list of the 10 best Mexican albums of 2018, it was clear that one of them had to be La Barranca’s “Lo eterno”. With more than two decades of recognition and trajectory, La Barranca is one of the most important active bands in my country. The first album they recorded was “El fuego de la noche” (1996), an album that presented all the elements that we would love of La Barranca as the time passed. Music and lyrics combine perfectly, but perhaps one of my favourite elements is the voice of the singer José Manuel Aguilera. Combining nostalgia and sadness with energy and magnificency, their most recent album “Lo eterno” gives us a magnificent collection of songs that deserve every second of our attention. “La brecha” is the name of one of the best songs of “Lo eterno”, a piece that shows us how the musical and lyrical qualities of this group are mixed. Qualities that invites us to be part of their dreamy experience, from which it is impossible not to let oneself be carried away. La Barranca on Facebook, Twitter, Instagram. A band from the north of Mexico, from one of the most prosperous cities in my country, Monterrey, this musical trip is courtesy of Coco Santos and Orlando Fernández: CLUBZ. With a delicious combination of electronic and organic sounds, with a rhythm borrowed from genres like dream pop, new wave and even funk, CLUBZ music invites us to dance to the rhythm of its hot swing. With a sticky pop, experimental and fresh sound, CLUBZ built an album that invites us to move, to dance, to let ourselves go. Perhaps one of my favourite songs is “Palmeras”, a track that invariably takes us back to the 80s and 90s. The freshness of the song is undoubted, but above all, the energy and feeling of partying. Imagine for a moment when you are on a beach, after the night took hold, just listening to this song. 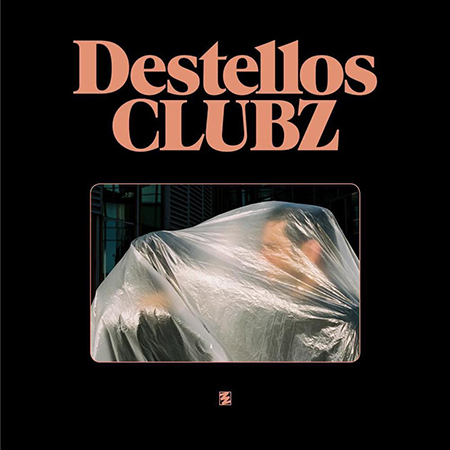 Yes, hearing “Destellos” undoubtedly brings enough desire to get up, move and letting go to the rhythm of this hypnotic music. CLUBZ on Facebook, Twitter, Instagram. For a musician with many years of experience with a renowned group, it is difficult to suddenly separate and start a new adventure. In a few occasions, the musician – to be able to start a new journey – manages to shake off the sound of the past. Well, that is precisely the case of Marcela Viejo, ex Quiero Club, who not only shook off her past, but also reinvented herself and stirred up the Mexican music scene. The first thing that remains clear to me of “Pequeñas profecías” is the freedom that the artist managed to achieve. It’s refreshing to hear the combination of creative freedom that gives her career as a soloist, with that sound we already knew from her time with Quiero Club. The singer-songwriter surprised us first by getting out of her comfort zone, and then by the tremendous versatility she has shown. In this new project, Marcela herself has found the satisfaction of expressing herself in absolute confidence. If you ask me about one song, I will probably mention “Órdenes para mí”, a track that features Camilo Séptimo’s singer Manuel “Coe” Mendoza. The song manages perfectly the sensation of intimicy and epicity. Marcela Viejo on Facebook, Twitter, Instagram. 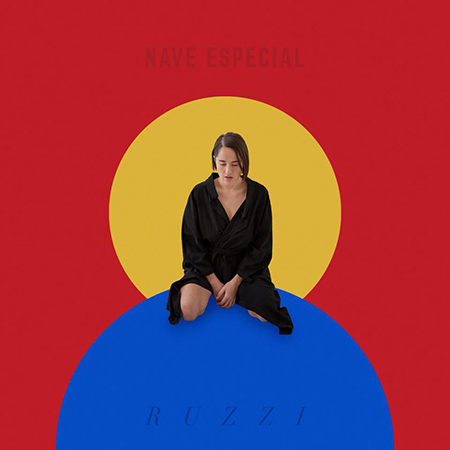 Stemming from Chihuahua, in the north of Mexico, with a career that has led her to play alongside many great local artists, I had no doubt choosing Marian Ruzzi’s “Nave espacial” as one of the best albums in 2018. It was surprising that she just released her first LP. Her sound has been so present in Mexico that it seems she has already several albums. 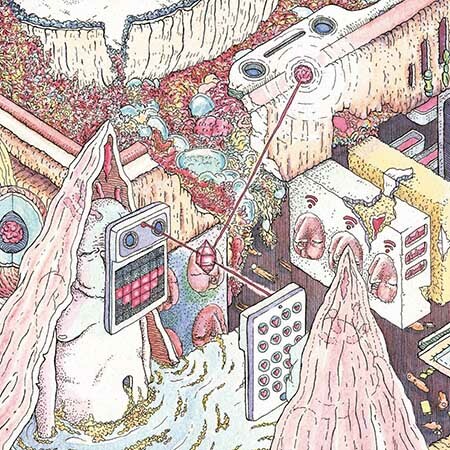 It took years for “Nave espacial” to take shape, and its sound is mature and solid. As a bonus, the great names that Ruzzi took aboard her “special ship” are the Chileneans Gepe, Javiera Mena and Alex Andwandter – and the Mexicans Meme and Natalia Lafourcade. An example of the album’s beautiness is “En construcción” is a song that basically talks about the freedom that means to love oneself without prejudice, without fear of being judged by society… The song includes many different elements, towards the end becoming a perfect track to dance. Ruzzi on Facebook, Twitter, Instagram. The story of MINK talks about persistence, love and work. The group of Carol Villagrán, Alex Sánchez, Adrían Paz and Alfredo Larraguivel “Hobbit”, starts in Mexico City more than 10 years ago. Their music since then has led them to play in various venues in Mexico, but also in Tokyo. 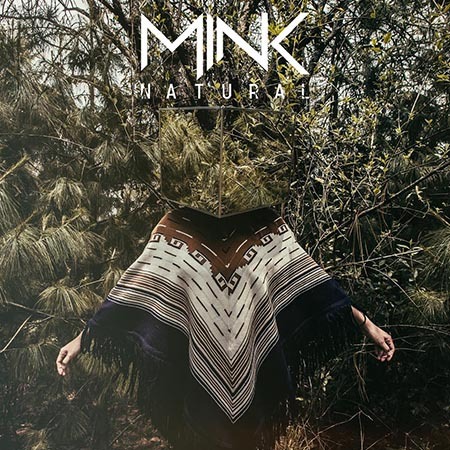 After a long pause after their 2010 debut “Camino”, MINK return with a second album “Natural”, recorded at the Sonic Ranch, in Tornillo, Texas, perhaps one of the most fashionable studios among national musicians. I think “Libre” is the best way to introduce you to “Natural”, because it is an extraordinarily emotive theme, paying full attention both to words and music. MINK’s works stand out for their production, for their perfectly working gear. Carol’s voice alone is also an absolute delight. And in “Libre”, they sing about how freedom allows you to rediscover yourself, to value every moment, every step taken, every achievement, every failure… Beautiful. MINK on Facebook, Twitter, Instagram. With great power, with the same energy to which we have already become accustomed, the norteños Los Mundos are responsible for this surprise for those who think that guitars are extinct. Since their debut in 2011, the Los Mundos race has experienced a constant rise. 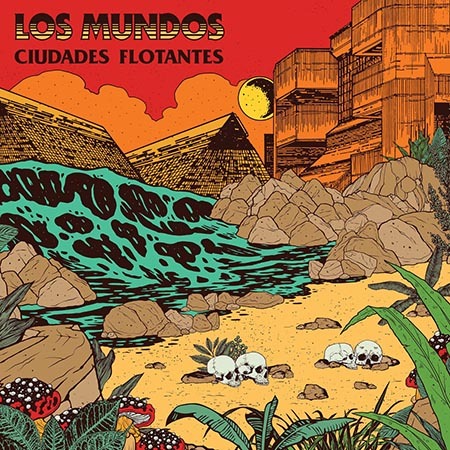 “Ciudades flotantes” is the group’s fifth studio album, which keeps alive the hard rock and stoner that their fans like so much. But also one that will surely please those who are strangers to them. Among the tracks to be highlighted are “Los mundos”, “Bonneville” and “El oro de los tontos”. “Lenta combustión”, with the use of synthesizers, in a proposal that seems to have been produced in full space, is nevertheless my favorite. Although they may have innovated just a little for this new album, Los Mundos are still among the most powerful proposals in the Mexican music scene. Los Mundos on Facebook, Twitter, Instagram. In the northern border of my country, the situation isn’t simple these days. The president of the United States, Donald Trump, continues to cling to his idea of closing a border that should rather unite our nations. However, while the above does not happen, arts like music will continue to function as bridges between our cultures. From the Mexicali city border, the music of Trillones is a proposal that should not be missed in any way. With beats of different speeds, Trillones seem to get carried away, to be caught. The 11 tracks, which mean 45 minutes of the album, are the sound ship with which Trillones invites us to travel. “Tal vez sí existe” is an instrumental material in its great majority, although with some exceptions for the voices of Rosella and Carolina in Flames. Trillones on Facebook, Twitter, Instagram. I know that Centavrvs is perhaps among the most appreciated Mexican bands beyond our frontiers. It’s because the special attention that the group put on including traditional sounds. There is nothing like listening to new music that connects us to the powerful rhythmic roots of a region, in this case Mexico. 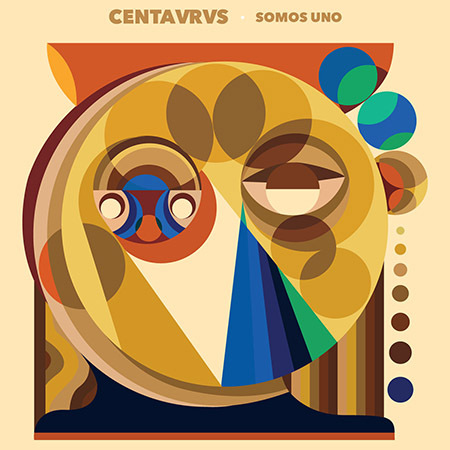 In this era when we have many offers from all over the world, the quartet Centavrvs released their second full-length “Somos uno”. The album begins with an “Intro” that clearly presents the direction of this effort, a voice-over narrating a thought located anywhere in Latin America, all framed in rhythms and sounds typical of this region. From this point the journey is straight, full of psychedelia, rock, and of course tradition, joy, love, sensuality and Latin blood. Maybe it’s not an original choice of the first song for you to hear from “Somos uno”, but “Flor de Mayo” is fun and full of life. It is a story that describes the real feelings of those born in the countryside, in contact with nature and under a sky of stars: the perfect conclusion of this record full of pride for the musical roots of Latin America. Centavrvs on Facebook, Twitter, Instagram. Perhaps the place that was once occupied rock is now occupied by hip hop. In Mexico, it is one of the genres that shows great growth, both in quantity and quality. There are different representatives, and although there are many men who work very hard, in my opinion it is women who raise their hands with great solidity. This is the case of Niña Dioz, a musician from Monterrey, undoubtedly one of the most interesting representatives of Mexican hip hop in the national scene. Independent, with the strength of a woman and with that quality that distinguishes her in rap, Niña Dioz’s talent is clear as water. Do you remember Ceci Bastida from our Best of 2014 list? Well, she is featured – along with Lido Pimienta – in one of the best tracks of “Reyna”. Wow, the album is really a trip for those who like a good hip hop. The lyrics, which I know are difficult to follow if you don’t speak Spanish, are one of the strenghts of the album. But also, if you don’t understand, you could follow the rhymes and the melodies as they are. “Reyna” is a strong album, but also a sweet one. What a delicious combination. Niña Dioz on Facebook, Twitter, Instagram. In the recent years when the way we consume music changed so much, we became accustomed to EP releases instead of full LPs. That, however, has little or maybe not at all influenced my decision to name an EP the best material of the year. Because yes, “Las batallas en el tiempo” undoubtedly includes the best music that came out last year in Mexico. 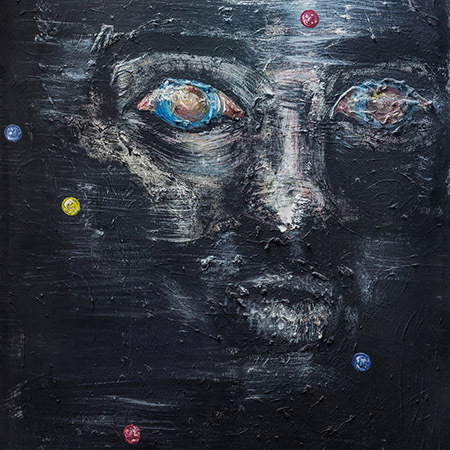 As soon as I heard this new effort from David, Bacter, Medusa and Villor, who together make up Porter, it it caught my attention tremendously. It caught my attention because it was a totally different appproach from the Porter we knew. On “Moctezuma”, which I thought was Porter’s best album to date, we followed a series of sound ideas that had been reflected in their first two albums, when the vocals were accompanied by their former vocalist Juan Son. Well, with the new 4 songs from “Las batallas del tiempo”, we hear a different Porter, absolutely disconnected from their past, and therefore with an intention to take risk and innovate. Porter on Facebook, Twitter, Instagram.